January | 2015 | Sonic Smash-Music! 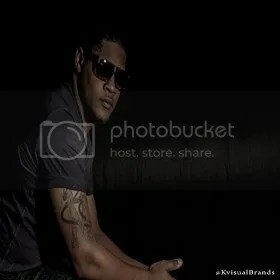 The rapper, songwriter and producer of hip hop known only as Sir has released his latest single track, “Till I Fall.” The track has been proudly released under the independent Young Society Music Group label. Indomitable, melodic, with a powerful back beat and moments of great intensity, “Till I Fall” is easily one of the best pop tracks to come from an independent rapper in quite some time. Sir cites as main artistic influences a broad array of pop and hip-hop stars including Drake, J. Cole, Kendrick Lamar, Kanye West, the Notorious B.I.G., Eminem, Nas, Canibus, Clip Heatwood, Slick Rick, and Michael Jackson. A particularly eloquent master of the mic, Sir’s lyrics are deliberate and concise, chosen for sound, rhythm and meaning in equal measures. A man of great drive and personal direction, Sir’s music has always been about improving the world around him. Though the power and groove of “Till I Fall” stand out as clear priorities for the artist, it is the reason underpinning the track with which Sir is chiefly interested. Sir was born Sir William Christopher Alexander in Jacksonville, FL. He has been honing his craft since the age of 13. “Till I Fall” by Sir is available online worldwide. La ‘ Vega releases new single ‘Kill’em’ on MVB Ent. The rapper and songwriter of hip hop known as La ‘ Vega has released her new, highly awaited single to much critical and fan acclaim. The track has been proudly published on the MVB Entertainment Music Group LLC independent record label. MVB has been spearheading their recent efforts with the seemingly endless amount of hip hop coming from La ‘ Vega over the last few months. These MVB Ent. releases from La ‘ Vega have included October 2014’s “Nappy” single, November 2014’s “Tipsy” single, and her crowning achievement, the “Best of La ‘ Vega 2014 [#Work]” full-length record, for which she has garnered a considerable global fan base. Cool, feminine, and as explosively direct as her fans have come to expect, “Kill’em” is the new year’s best reason to get into La ‘ Vega for fans of hip hop everywhere. To describe La ‘ Vega’s signature sound is not as simple as listing other hip-hop stars with whom she shares similarities. Still, such comparisons are unavoidable. Like the music of Nitty Scott MC, Nicki Minaj, Lil’ Kim and Foxy Brown, the NYC-born La ‘ Vega takes her groove and attitude from the New York hip-hop tradition, where the music style was born more than three decades ago. With less than two months on MVB Ent.’s official YouTube channel, “Kill’em” by La ‘ Vega has already racked up approximately 30,000 views with hardly any marketing at all. Her official video for June of ’14, “The Girl You Like,” has surpassed 125,000 views and shows no sign of slowing down. MVB Ent. has, to date, published more than 30 singles from La ‘ Vega and is likely to drop a great many more by her before too long, if her quick rise to prominence in 2014 is any sign, but this latest single is of particular note for its especial high quality, even in comparison to the rest of her repertoire, which is already of a very high quality. “Kill’em” by La ‘ Vega is available online worldwide. Fans of hip hop around the world should absolutely get in early. 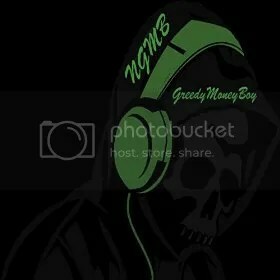 The rapper, songwriter and producer of hip hop known popularly as Ma$kon Ngmb has released his latest official single, “Greedymoneyboy.” The track has been proudly published on the Getit2Death Entertainment independent music label without the involvement of the corporate music power structure. Gritty, real, and characteristically in-your-face as Getit2Death has become known for being, “Greedymoneyboy” by Ma$kon Ngmb proves that he’s a rising hip-hop star with motivation for miles and beats to spare. Ma$kon Ngmb (usually stylized MA$KON NGMB) cites as main artistic influences such legends of the mic as Tupac Shakur and the Notorious B.I.G. Like the work of these megastars, his own songwriting and performance are marked by an aggressive, explosive delivery of rhymes and lines and the likes of which denotes the unadulterated sound of urban poetry. A quick listen through of the “Greedymoneyboy” single is enough to hear that in this Ma$kon is not mistaken. The track is unlike any releases in the category of hip hop to be released in recent months. “Greedymoneyboy” by Ma$kon Ngmb is available online worldwide. The popular duo of dark melodic metal known as Vices and Adulation have released their latest official single, “Have You Ever.” The track is the most significant release from Vices and Adulation in some time and is expected to fuel even more interest in this undeniable Goth-rock crew the world over. With stunning vocals from acclaimed lead singer Lucy-may and razor-sharp guitar work from multiple-award winner Fabian Upton, “Have You Ever” is the latest reason fans of alternative rock have to warm their ears against the emotional fireball that is Vices and Adulation. Asked to cite a few artistic influences, Vices and Adulation guitarist Fabian Upton names a variety of legends, including ’80s giants like Def Leppard, new-millennium groups like Evanescence and Paramore, and European melodic metal crews like Children of Bodom and Dimmu Borgir. Perhaps unsurprisingly with inspirations such as these, the autodidactic Fabian Upton has been revered online as the 8-Finger-Tapping Guitar World Champion for four consecutive years, and once as the Sweep-Picking Guitar Champion. While this helps one imagine how his song composition and style of guitar playing might sound, the picture is far from complete without the impeccable singing of Lucy-may Upton, whose crystalline vocals have helped to garner more than 250,000 fans on Facebook and other social media, and whose arresting harmonies – possibly never before showcased as strikingly as on “Have You Ever” – have been turning heads around the heavy-metal world. Vices and Adulation was born in 2013. 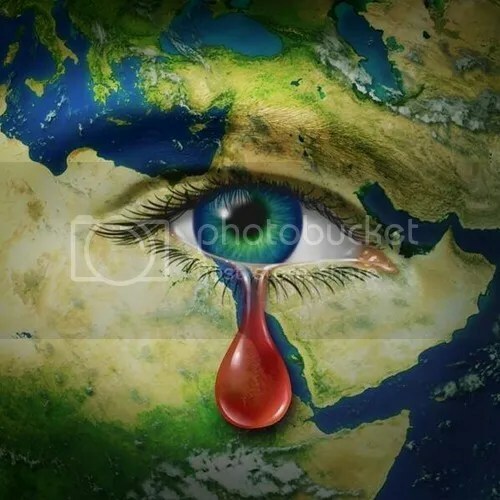 In addition to her renowned singing, Lucy-may Upton is a published poet and highly skilled artist from West Midlands, UK. Both she and guitarist Fabian are entirely self-taught musicians. Their first instrumental album released on 4 February 2013 continues to be heard on SoundCloud and other outlets to the tune of more than a quarter-million plays. Their first non-instrumental release, “Dragon Princess 2,” followed in March and won the Akademia award for Best Alternative-Rock Song and gained the group a Facebook’s coveted Rock-Music Crown award. “Have You Ever” by Vices and Adulation is available online worldwide from the band’s official website and elsewhere [link provided below]. Fans of alt- rock, Goth- rock and melodic metal should absolutely get in early. 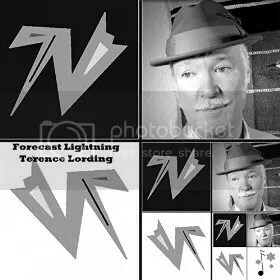 The songwriter of blues music known as Terence Lording has released his latest official single, “Forecast Lightning.” The single has been proudly published without the influence or participation of the corporate music power structure. A sonic landscape of shadows, mystery and intrigue, “Forecast Lightning” by Terence Lording is a contemporary reminder of how very ice-cold cool blues can sound. He has stated that his main music interests include blues, jazz, soul, hard rock, blues rock, classical music, rock ‘n’ roll, rhythm ‘n’ blues, pop, and writing and recording. The performer of country music known as Rhea Francani has released her anxiously awaited debut single, “Dizzy.” The track is the first glimpse of her upcoming freshman EP release, “I Want You to Know,” which becomes available online everywhere 10 February 2015. Both have been proudly published on the Limestone Records, LLC independent music label. Relentlessly catchy, colorfully upbeat and undeniably fun, “Dizzy” is a track that country fans of every generation can get behind. Rhea Francani’s “Dizzy” has also been concurrently released with an official music video, available for viewing online everywhere. Shot on-location in Nashville, it serves as a fine introduction to this surprise new country talent from Western New York. As it is in the single, itself, Francani’s exuberance is infectious, her joie de vivre palpable. The singer and songwriter of pop/folk music from Northern California known as Kelsey Forsberg has released her debut EP “Lost.” The album has been proudly published on the Radiant Soul Records independent music label without the involvement of corporate music entities. It comprises five original tracks for an approximate total listening time of 20 minutes. Warm, heartfelt, and written in the true spirit of the folk and country tradition, “Lost” is the latest example that the real voice of America is in the singing of her independent artists. Kelsey Forsberg cites as main artistic influences Miranda Lambert, ZZ Ward, Sheryl Crow, Colbie Caillat, Sara Bareilles, and Banks. Her own songwriting style fits in well with that of the legendary performers on this list, but her singing is more down-to-earth, more genuine, and more accessible to listeners of various music genres than many of them. Her natural tone seems to reach through the music to shake the listener’s hand, leading one through the singing of her musical narratives as if down a country road. This is appropriate, as her debut record revolves around the ins and outs, ups and downs of life – anyone’s life – everyone’s life. While singing has been a lifelong love for Forsberg, it wasn’t until high school that she began taking it seriously. Now the author and performer of a globally distributed EP album, Forsberg sees music as a part of herself more than ever before. “Music has become a way of expression and happiness for me,” she writes. “Lost” by Kelsey Forsberg and co-written and produced by Radiant Soul Records’ David Warren is available online worldwide.